This glowing, iridescent cave is an otherworldly experience awash in gleaming, thick blankets of ice. 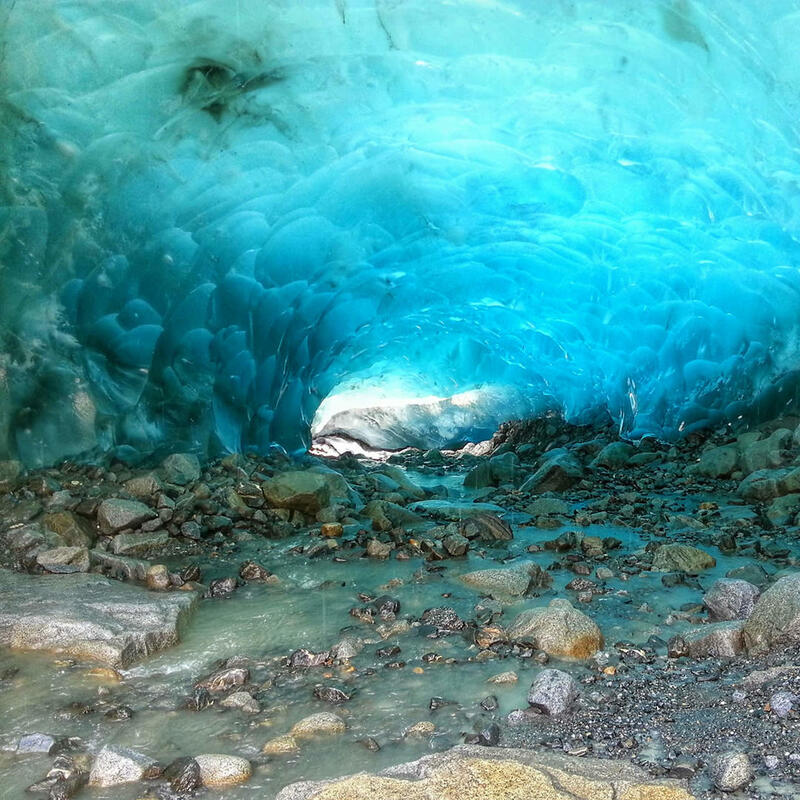 While most caves in the U.S. are rock formations covered in ice the Guyot Ice Caves are really just that - caverns formed within the vast and infinite dimensions of a glacier. These caverns come and go from year to year, freezing, melting, and changing direction and dimensions. While you may visit one cavern this year, you'll find that same cavern has disappeared or gotten larger in the next!